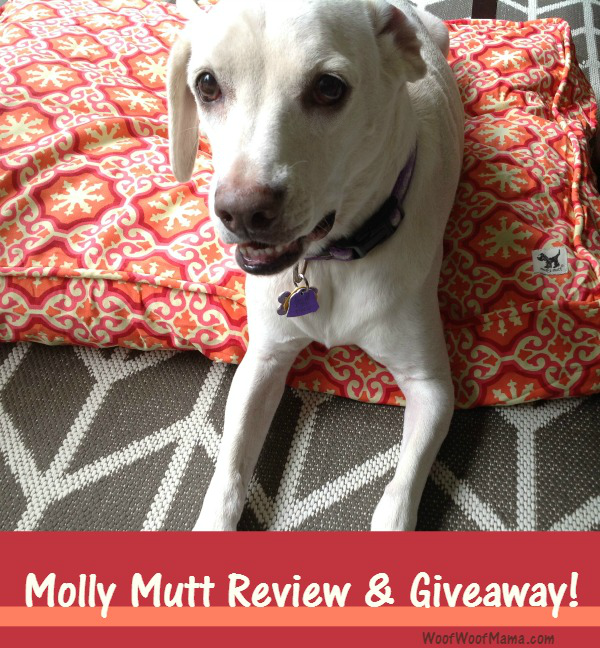 Making your own dog bed with Molly Mutt is super easy…in fact the only hard part for us was deciding which of their 25+ beautiful and stylish designs to choose! 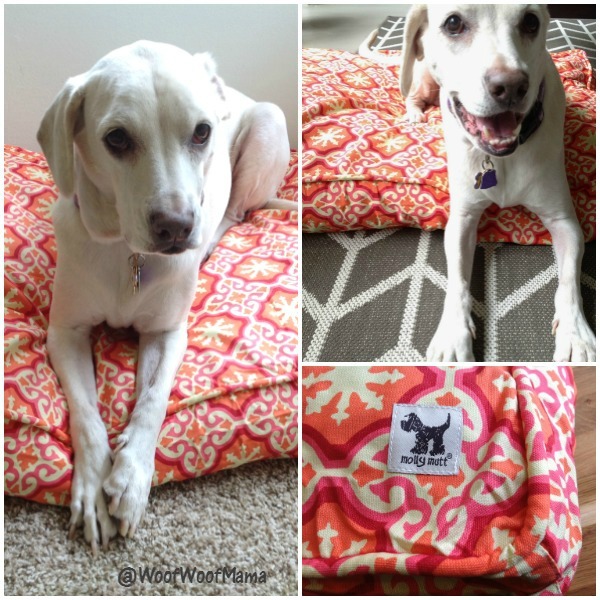 If you haven’t already heard about Molly Mutt, you might be wondering exactly what this DIY Dog Bed is and why you’d want one. Daisy and I will explain. 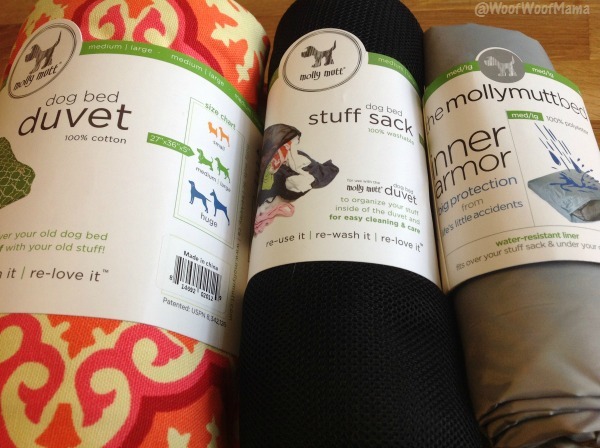 Molly Mutt makes individual components that you can buy separately and use together to create your own dog bed, or cover an old one to give it a brand new look! 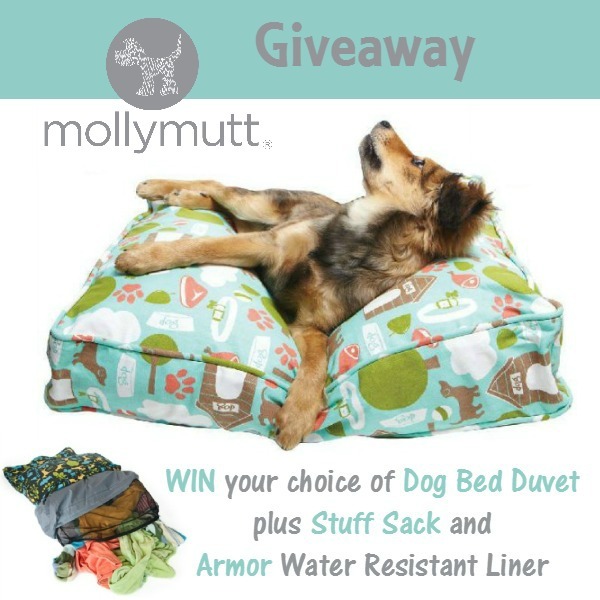 These include: the Molly Mutt 100% Cotton Duvet Cover, the Mesh Stuff Sack, and the Armor Water-Resistant Liner. 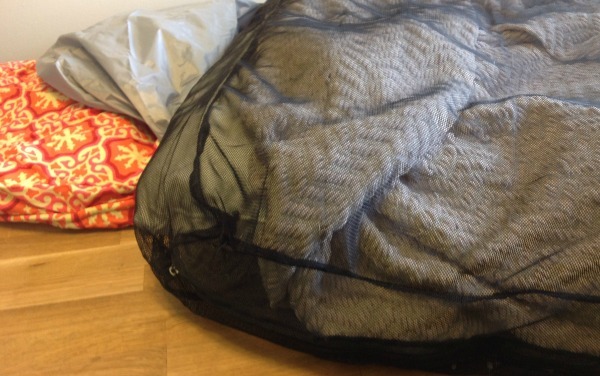 If you’re looking to just cover an old dog bed, you can skip the Stuff Sack, but if you want to truly create your own dog bed, you can use old t-shirts, pillows, towels, coats, blankets, pajamas…basically anything that you have lying around taking up space that you want to get rid of, and stuff it all into the mesh Stuff Sack to hold all your stuff together and create a custom dog bed for your fur kid. It also makes it super easy to wash since you can just throw the whole sack in the wash! I did a full KonMari when we moved last year, so I didn’t have a ton of stuff to stuff in the sack, but I did have some extra pillows and a knitted blanket that was all snagged up thanks to Daisy’s claws! We need some new towels, so as soon as we get them, some of the old ones will get added to Daisy’s new Molly Mutt bed to make it just a little bit firmer. 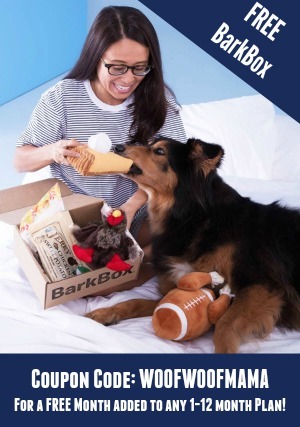 That’s what I love about it: not only do you get to re-use old stuff and reduce waste that would end up in landfills, but you also have complete control in customizing the firmness of your dog’s bed. Daisy likes her bed kind of medium, but you can make your dog bed squishy or firm, or whatever your pup likes! The armor lining goes over the mesh stuff sack, and then the duvet cover goes over that. 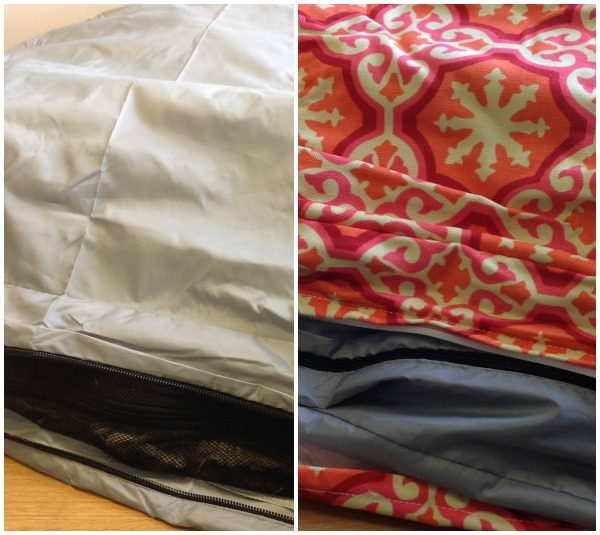 Everything zips up and fits nicely…super quick and easy, like changing a pillow case. The other really neat part is that it’s also super easy to clean. You just zip off the duvet cover and cold water wash, tumble dry low. And, as long as whatever you’ve stuffed your sack with is machine washable, you can throw all that in the wash as well. Using the Armor inner liner helps keep the stuffing dry and clean, and is also great for older dogs and those prone to accidents. We’re using Daisy’s new bed both inside and out on our patio, so it’s great having the water-resistant liner for the bed. Even though it’s a covered patio, stuff can still get damp when it rains…which happens a lot this time of year in South Florida! If you like using your dog’s bed outdoors then we highly recommend you get the Armor liner. Molly Mutt dog beds come in 4 sizes: petite under 15 lbs, small 15 – 30 lbs, med/large 30 – 70 lbs, and huge over 70 lbs. As I mentioned, the hardest part is choosing which design…they are all so gorgeous. 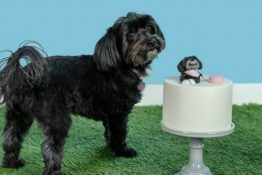 Visit mollymutt.com to see them all and choose a style that fits your home decor and your dog’s unique personality! Ready for a giveaway??? One lucky winner gets their choice of duvet cover plus a stuff sack and water-resistant liner; all 3 pieces that we’ve discussed above. 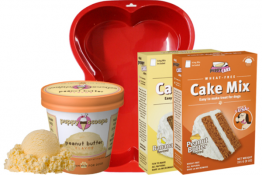 Enter to win using the Rafflecopter contest widget below. 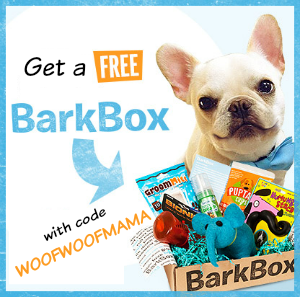 Giveaway is open to US residents age 18+ and ends at 11:59pm on 8/7/16. Good luck everybody! There are nine of us, so it’s hard to agree on anything but we all like Night Swimming. I like the rocketman one. The Midnight Train duvet is one of my favorites. Oh my goodness Molly Mutt has the cutest prints! It’d be hard to pick just one! I love the title track duvet! Thanks for the chance. Since purple is one of my favorite colors the Royal one has got to be the one. I like the Lion’s Roar Duvet. I like the romeo & juliet duvet the best. I like the Lion’s Roar duvet cover. I like dark covers to hide dirt! I like color, so I would go with either the Lady In Red or the Boxer Duvet. I love the bleecker street duvet. But they are all great! I like the royals duvet the best. The Rocketman Duvet is my favorite! Thank you for the wonderful giveaway. I like that you can use your old clothing or towels so it smells like home to them. I would like the midnight train duvet. Bleecker street is the most adorable print! I love it! I love the Lion’s Roar design! Oh they are all so cute…I really love the piggies petite square! I love all the designs but particularly love the liner that you only need to wash the cover and you can even get several covers! I love the dream lover duvet! So cute! I like the “I don’t like Mondays.” I think my boys would love it too. Since I’m in the military this could let my boys smell me and feel at home when I’m away. Love this idea. I like the boxer pattern! I love the Rocketman duvet! I like the Weekends Away, Romeo & Juliet, Nightswimming, and yourhandinmine. I like that you can recycle old clothes for these beds. This is priceless! 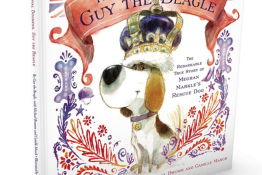 Love the reviews. My favorite is the landslide duvet! I love this kit! I like so many, but the Night Swimming and the Royals are my favorite. I like the new-theory-duvet for my rescue dog, Artie. I like the papillon duvet the most. Oh, how to choose. All the styles are so nice. I really like that you can use whatever you want to stuff these beds – a great way to reuse clothing that is worn out . I especially like that the duvet cover is washable, too. I’ve had to throw away too many dog beds that were just too dirty and stinky to use, but don’t really have a way to wash them.